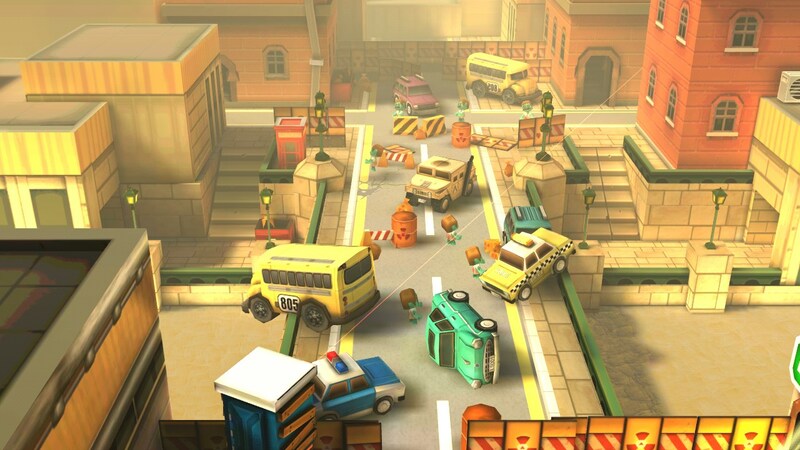 Action of Mayday: Last Defense – Games for Android 2018 – Free download. 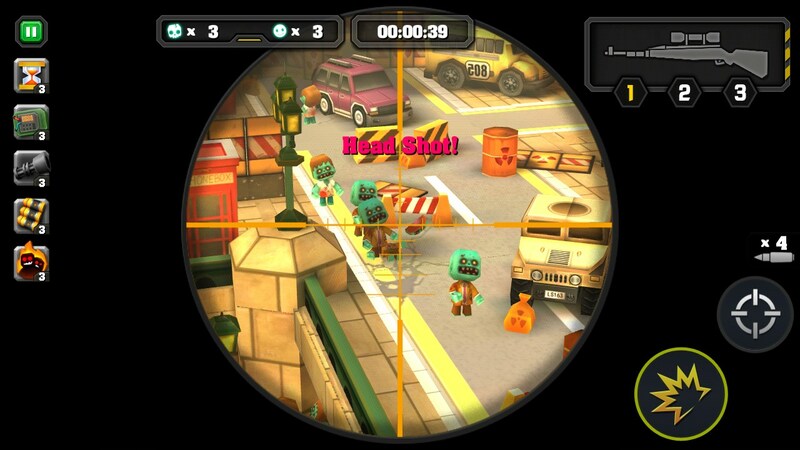 Action of Mayday: Last Defense – Zombie Brains Go Splat! 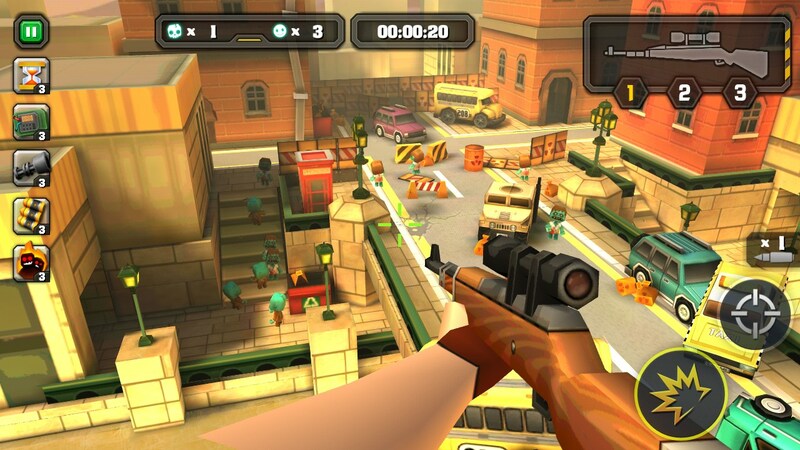 Action of Mayday: Last Defense for Android is like Night Of The Living Dead on your gizmo. Technically speaking, I'm not sure if zombies still have brains, nor if the blood in their veins is just curdled and dried out, but whatever the case, something inside their noggins goes splat when you blast them in the head with bullets. And that in itself is probably fun enough for most people. Action of Mayday: Last Defense operates under a simple premise - you, yes YOU - are the last line of defense preventing the zombies from taking over. 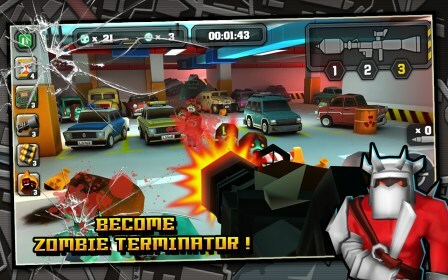 The game takes place in an apocalyptic and desolate wasteland, formerly known as civilization. There's overturned school buses, fires and total disarray in this city of desolation. 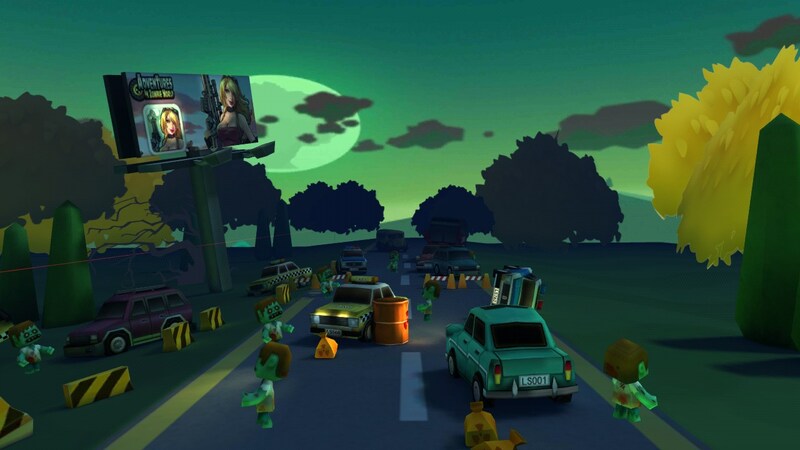 Zombies run amok, hungry for human flesh; your human flesh to be precise. It appears you are the sole survivor, or everyone else is just chicken, and you're the one who got shafted trying to save the earth all on your own. Graphics are entertaining. 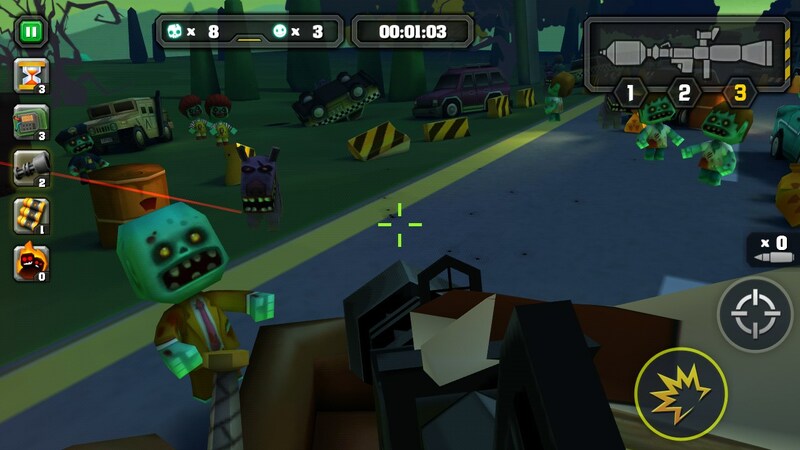 The zombies are cartoonish, so not really scary or anything. 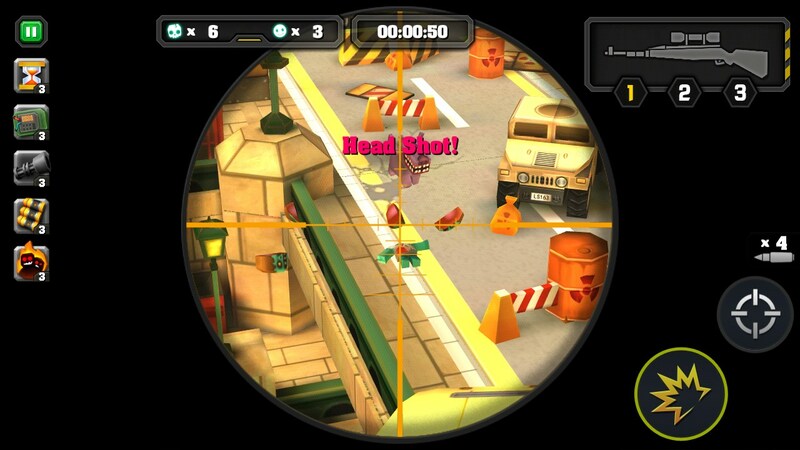 I love how you can zoom in and get a closer look through the cross-hairs for your riffle. 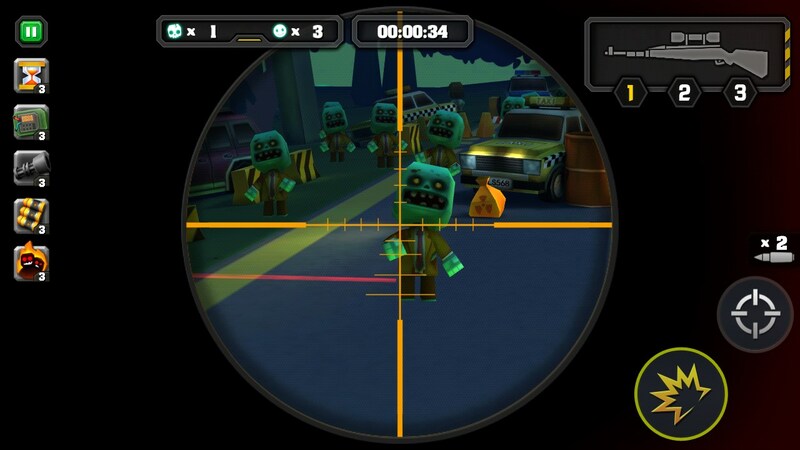 Just swipe and slide to aim, then tap the screen to fire and watch zombie brains go splat. Lots of interesting levels and desolate locations. The zombie onslaught seems endless. I wonder, if they did succeed in eating all the last humans, then what? Do the zombies just starve? They have no stomach or digestive tract, so do they still crap the humans they eat? Too many thoughtful questions will make this zombie thing unravel, right quick. The controls are easy, however lack a little in the accuracy department. The sounds are just goofy fun. 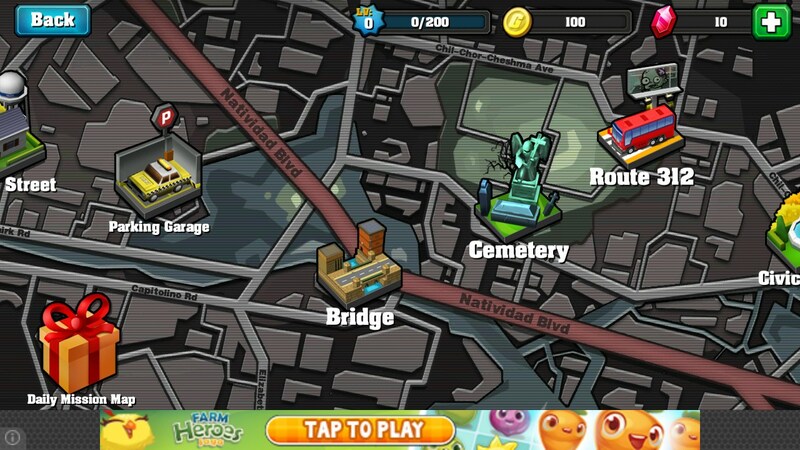 And the graphics are cute and funny. kids would love this. 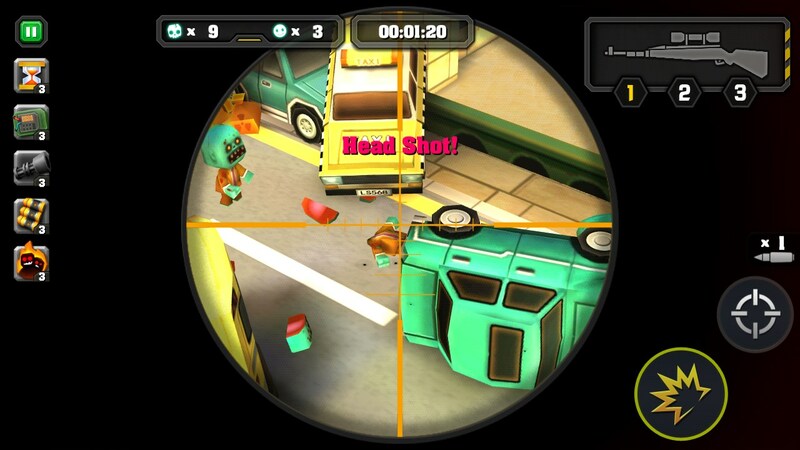 Action of Mayday: Last Defense is a fun game overall. It's interesting and entertaining but could use a little better accuracy and calibration.